Dr. Alan Schulman is a renowned Board Certified Veterinary Surgeon. While he is particularly known for his orthopedic, neurologic, and reconstructive surgical expertise, he performs a broad spectrum of thoracic, cardiovascular, and soft tissue surgery for his general practice and referral clientele. Dr. Schulman’s extraordinary skills and intuitive powers regarding veterinary medicine and surgery have won him intense loyalty throughout the community. While Dr. Schulman’s clientele reads like the who’s who of the entertainment industry, his practice thrives because of the unquestionable confidence and passion with which he treats each and every animal. For this reason, and many others, Dr. Schulman is consistently sought out for his expert advice and endorsement for various animal-related issues. His passion and talents for high-quality veterinary care have awarded him the highest recognition within his profession. Dr. Schulman has authored dozens of journal articles, textbook chapters, and lectures locally, nationally, and internationally. Dr. Schulman was born and raised in New York City and attended Cornell University as an undergraduate in The College of Agriculture and Life Sciences. He completed his veterinary education at The New York State College of Veterinary Medicine at Cornell University before arriving in Los Angeles to complete his internship and surgical residency. 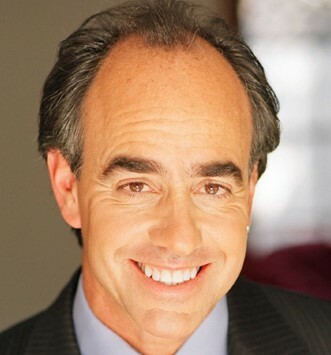 He has been frequently utilized as the veterinary expert on K- NBC and K-Cal 9 News in Los Angeles and produced an informational documentary series for a FOX subsidiary in the United Kingdom. Dr. Schulman has been interviewed multiple times by the CBS Morning Show, The Early Show, The New York Times, and The Boston Globe with regard to his surgical expertise. ABC News and MSNBC have solicited advice from Dr. Schulman on multiple occasions regarding the current standard of veterinary surgery and its application in the best interests of the pet owning public. Entertainment Tonite/Insider have produced informational segments promoting Dr. Schulman’s surgical prowess. Dateline NBC has interviewed Dr. Schulman regarding specialized surgical procedures on pets. Dr. Schulman has also produced documentaries on veterinary surgical procedures for distribution in Europe with Focus TV Productions, Capture Film Inc., GMTV London, UK Maxim, and the World Entertainment News Network (WENN). The BBC 2 has contacted Dr. Schulman with regards to host a program on veterinary specialty surgical procedures and their application on pets in the United States. TVA Network in Quebec has filmed Dr Schulman for the premiere of its new talk show “On N’a Pas Toute La Soiree” with host Eric Salvail regarding his surgical specialty and approach to veterinary medicine and surgery as performed in the United States. Dr. Schulman has also appeared on SoapTalk with host Lisa Rinna. Dr. Schulman has been interviewed by a multitude of newspapers and magazines in Europe and the UK including the London Daily Mirror, the Sunday Express, the Daily Mail and the Mail on Sunday, Ici Paris, and Grazia. Dr. Schulman was named Best Vet in LA by Los Angeles magazine for two years running and has been featured in many television, radio, and magazine specials, such as 20/20, CBS Morning Show, the CBS Evening News, CBC (Canadian Broadcasting Company), Fox National News, The Dennis Preger Show, Splash News, WMBB AM Radio Station in Chicago, RTE Radio – Dublin and Los Angeles and Fade In and Distinction magazines. Dr. Schulman has been interviewed by Newsweek, In Touch, and People magazines regarding reconstructive dermatologic surgery for pets and is also a consultant on veterinary medicine for Woman’s World magazine. He has shot the pilot presentation as the veterinary expert for the Animal Planet program “Who Gets the Dog”, which has recently been picked up for 26 one hour episodes. Dr. Schulman is currently a veterinary expert for Animal Planet and has filmed over half a dozen episodes for the series “Uncut and Untamed” in the last year alone. Dr. Schulman is also the veterinary expert for the recently released PBS series “The World of Dogs” currently airing nationally. He is also the veterinary expert in a series of veterinary infomercials airing on UTV, the Los Angeles Japanese Television station. Dr. Schulman has been interviewed many times as a veterinary expert for Dog and Cat Fancy Magazine. Dr. Schulman is also currently the veterinary expert for “The Doctors”, a national daily network television show, appearing numerous times within the last year to educate the public on a wide range of veterinary and public health issues as they affect veterinary medicine and animal welfare. Dr. Schulman has been approached by Governor Schwarzenegger and is used as a consulting veterinary expert for the State of California. More specifically, Dr. Schulman’s position is to consult with the state authorities (Department of Fish and Game, Department of Wildlife) prior to the use of lethal force in the attempt to preserve and not kill exotic and endangered species in the event they escape their sanctuary habitats. His recommendations are being used to formulate a new approach in the handling of native and non-native wild and exotic animals by the state of California that will hopefully be utilized by the rest of the United States in an attempt to preserve these magnificent animals. Dr. Schulman owns and operates The Animal Medical Center of Southern California and the Veterinary Surgical Referral Service, a state of the art veterinary medical, surgical, and emergency facility located at 2340 S. Sepulveda Blvd. in West Los Angeles. in West Los Angeles.